Jane earned her B.A. from Barnard College and her Masters in International Affairs from Columbia University. She worked as an Economist at the NY Federal Reserve Bank. After leaving the NY Fed, Jane worked as an advocate for children with disabilities. 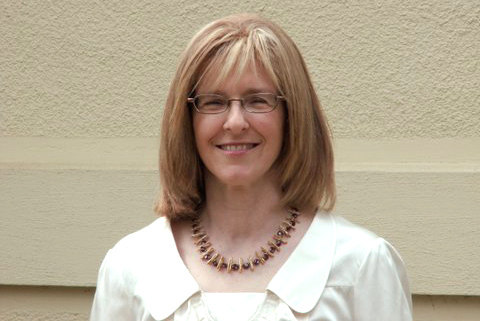 Jane earned her Juris Doctor degree from the University of Dayton School of Law. She has a particular interest in special education law. Lori Board is a Deputy Clerk and has been with the Montgomery County Juvenile Court for 12 years. She has been in several different positions within the Clerk’s office during that time. She recently joined the CASA department in November 2018. Her primary duty is processing the CASA and GAL appointments for all Abuse, Dependency and Neglect cases that are filed in the court. Cassie has been with Juvenile Court since August 10, 1998. She worked in Detention for 16 years before becoming part of the CASA family. 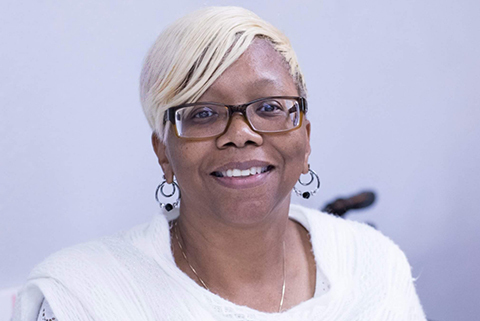 Cassie received her Associates from Sinclair Community College in Criminal Justice, received her Bachelors from Wilberforce University in Public Administration and attended Walden University’s for Master’s studies. Cassie is an Army Vet serving in Desert Storm and loves reading, being with family and advocating, serving and speaking to disadvantaged youth and the elderly, helping them remember there is hope in every bad situation. Al Minor has been an advocate for youth for over 30 years in several different volunteer capacities. Al has been with the Montgomery County Juvenile Court since 1994, serving in several capacities such as Youth Resident Worker, Probation Officer, Mediator and Interim Program Director of Reclaiming Futures Program before becoming a Coordinator of Volunteers with the CASA Program. Prior to coming to the Court, Al worked as a Community Service Advisor with the City of Dayton Priority Boards. Al has specialized training in conflict resolution, reality therapy and youth development. Al is committed to serving the community through helping families and children who need it the most. Al is a native of St. Louis, Missouri and earned his Degree in Administration of Criminal Justice from Howard University. Al is married and enjoys cooking and spending time with his family, grandchildren and special friends. Community-building is pretty much where it’s at for Allison Shimko. Allison’s background revolves around serving people, a calling also carried out daily by CASAs. After surviving an occasionally tumultuous upbringing in Appalachian Southern Ohio, Allison found work in Dayton, developing her passion for serving individuals with intellectual disabilities while spending 14 years with the Montgomery County Board of Developmental Disabilities Services. You may find Allison enjoying her Dragons season tickets or walking her dog, Dory. Other interests include the Ohio Bobcats, live music, art, and baseball (specifically the Boston Red Sox and Cincinnati Reds). Sarita Simon earned her Bachelor’s degree from Earlham College majoring in International Politics and her law degree from Franklin Pierce Law Center. She is admitted to both the Ohio Bar and the Southern District of Ohio Bar. Prior to coming to the Court, she worked at the Dayton Bar Association and the Small Business Administration Office of Disaster Assistance. Ashlee Smith is our administrative secretary. Ashlee graduate from Meadowdale high school and Lincoln college of technology. She is a STNA and also a medical assistant. She deicide that she had a love for children and went to work for DPS as a paraprofessional, after five years she has come to work for CASA. She been a Cheer coach since 2007, and now She is The Cheer coordinator for Meadowdale peewee. Ashlee also works for the Ronald McDonald house in Dayton. She loves inspiring young ladies to be something great and giving back to her community. Carla I. Zetzer is a graduate of the University of Cincinnati McMicken College of Arts & Sciences where she received her Bachelor of Arts in Psychology/Criminal Justice. She is also a graduate of the University of Cincinnati College of Law. She was admitted to practice in Ohio that same year. Ms. Zetzer is admitted to the Southern District of Ohio Bar. Ms. Zetzer has been employed as a Coordinator of Volunteers with the Montgomery County Juvenile Court CASA Program since 2006.